Photo courtesy Waldorf Sports Info. 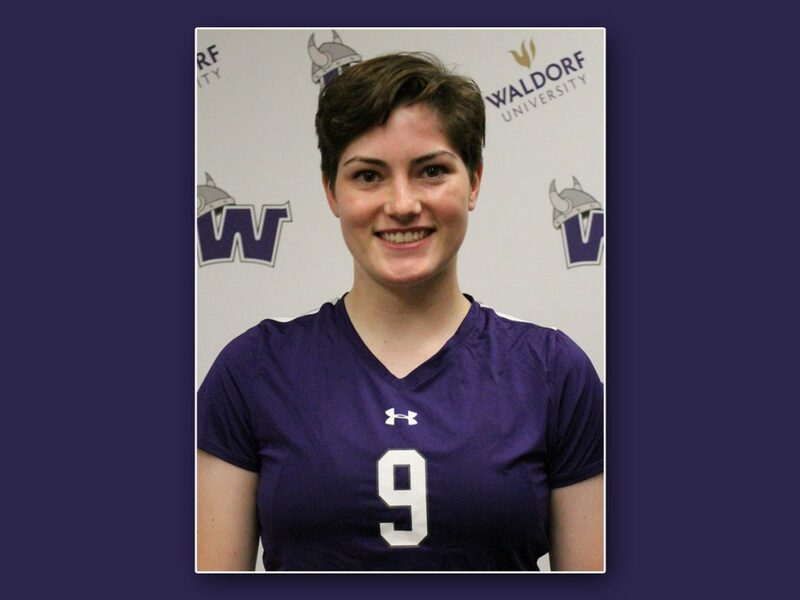 FOREST CITY – Freshman Sarah Williams led the way over the weekend for the Warrior volleyball team, racking up kill after kill in the Wisconsin-Platteville Invitational. 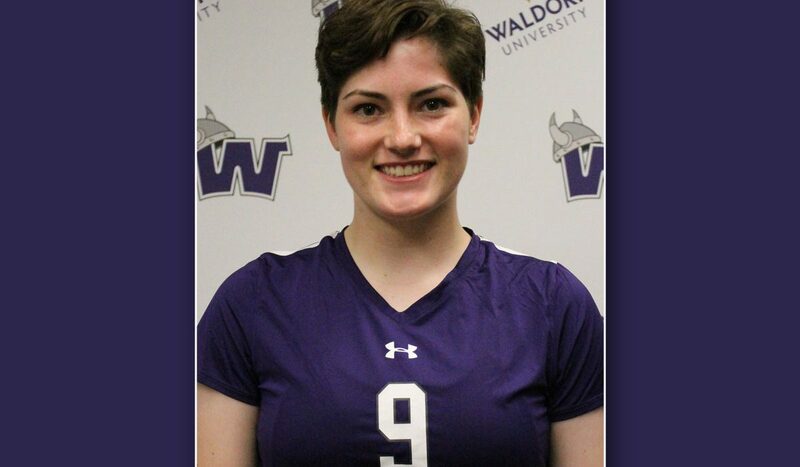 Finishing the three-match tournament with 35 kills for Waldorf, which went 1-2 overall, earned Williams All-Tournament Team honors for the first time in her young collegiate career. Williams had 14 kills and a pair of blocks in a five-set match Friday against North Park, then she led the Warriors in both matches offensively on Saturday. Against Coe, she had 10 kills, and in the Warriors first win of the season, Williams pounded down 11 more kills against host UW-Platteville. Williams also had a solo block in Saturday’s win, and a dig, and also had a dig in Friday’s match. Williams and the rest of the Warriors are back in action on the road this coming weekend, playing North Star Athletic Association matches at Presentation on Friday and Mayville State on Saturday.